We're placing our money where our mouths are and putting our KSC Portable Braai to the test, just to see how good it really is! So how are we going to test our Braai? We want to see how LONG our KSC Braai can LAST with continued use. 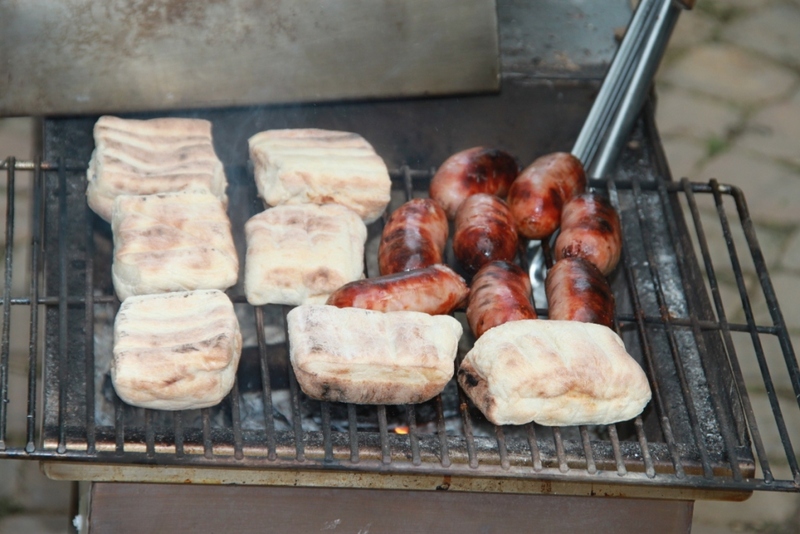 We want YOU (you = companies, groups, friends, family, "FANS"), anyone to use our Demo Braai. We want this Demo Braai to go places! 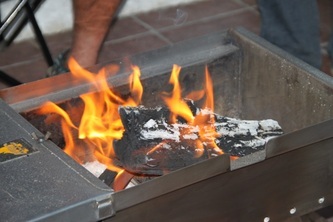 The DEMO Braai has applicably been named the "The Fold & Go" and has officially been in use since the 1st of March 2011 and is still going strong. Use of The Fold & Go is FREE, but you will need to do a little bit of homework for us ... We want to know where our Fold & Go has traveled to, what you made fire with (Wood/ Charka), how many bags were used, what you cooked and how much of it! 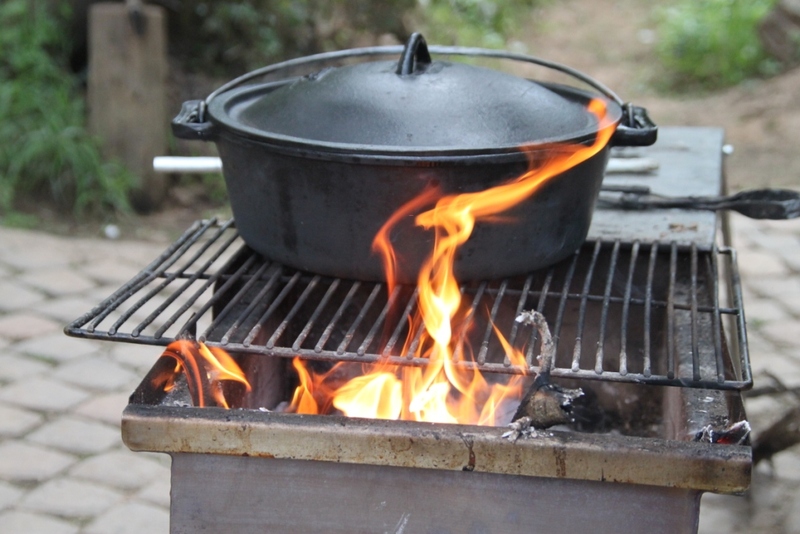 We will post the information you give us on our Website and Facebook Page for everyone to see in order to build up a credible record of our DEMO Braai's usage. You can book the Fold & Go for a day, a week, a month or more. How do I book usage of The Fold & Go Braai? Contact Suzaan Carmichael @ 083 234 9456 or e-mail at suzaan@kscportables.com and she'll do the rest! For how long will the promotion be running? As long as The Fold & Go Braai lasts! Please note: Collection and return of the Demo Braai will be for your own account. We make use of a reliable courier company and are able to assist with courier quotes should you require it. 6 Guys, tents, fishing kit our "Fold & Go" and lots to braai! 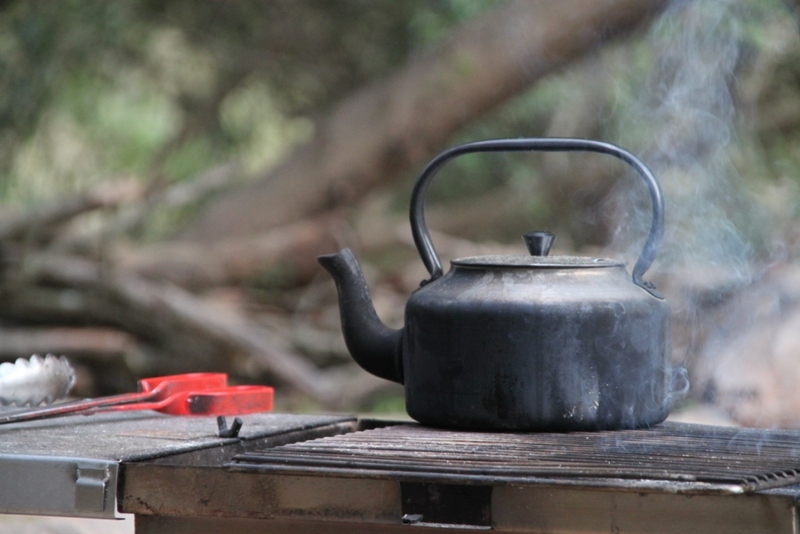 The Lebanon campsite between Citrusdal and Clanwilliam sounds like the best destination if you're looking for great fresh water fishing, remote camping and a JOL. Looks like these guys probably did more of the latter to discuss their fishing strategy for the next time! Our little "Fold & Go" was put through it's paces and tested to the max by the VERY technical Landrover Magazine on a West Coast meander! Seems our braai could keep up with the (apparently) Best 4x4 By Far as a high quality and durable little buksie! Awesome venue, great company and family time, what more can you want was the feedback from the the Enderli family who tried out camping as a family of 4, for the 1st time. By the sound of it, it seems like they've been bitten by the camping bug! The Winterbach Brothers, Tobie and Marais tested out the Fold & Go in the picturesque Riggton Farm Camp in Bonnivale. 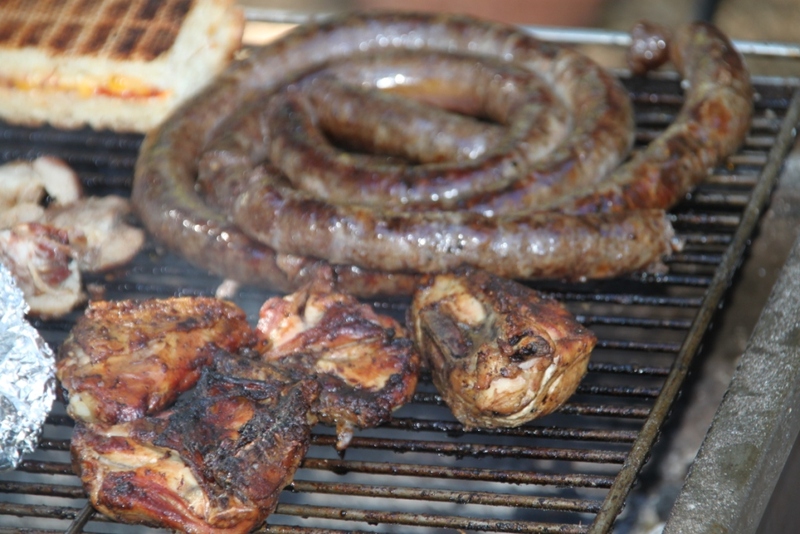 They cooked like pro's and ate like Kings and only had great things to say about our braai! Worcester to Uilenkraalsmond, back to Worcester, then to Langebaan and back to Worcester... phew this family traveled! Clearly The Van Tonder's enjoy the outdoors, love to camp and know how to have a lekker braai. And our Fold & Go has the stats to prove it! Cobus Potgieter and his family took our Fold & Go for test over a weekend escape to the beautiful Tankwa Karoo National Park. Looking at what was cooked our little braai lived up to it's expectations and delivered! The Laubscher Family enjoyed using our "Fold & Go" so much on their previous holiday that it accompanied them for a ﻿2nd time ﻿on their Struisbaai Holiday! And as before, the fires were going, good food were cooked and great memories made! 12 x Lamb Chops, 6 x Chicken Pieces, 2kg x Beef Fillet, 2kg x Boerewors, 8 x Braai Broodjies, 2 x Garlic Breads, 1/2 Bread toasted 2 x Packs of Bacon, 1 Dozen Eggs, 1 x Punnet Mushrooms & Onion Relish, 6 x Mielies. 6 x Lamb Chops, 36 x Chicken Pieces, 1.8kg x Beef Fillet, 4kg x Boerewors, 6 x Braai Broodjies, 6 x Garlic Breads, 16 x Rooster Koeke, 1 x Bean Pot, 1 x Pasta Pot, 4 x Grids Black Mussels. 2kg x Pork Ribs, 1.5kg x Rump, 1kg x Boerewors, 8 Braai Broodjies, 2 x Garlic Breads, 1/2 x Bread Toasted, 1 x Packed of Bacon. 12 x Sheep Riblets, 1.5kg x Rump, 500g x Boerewors, 1 Corn Bread, 1 x Chicken Potjie. 54 x Lamb Chops, 153 x Chicken Pieces, 5kg x Rump, 13kg x Wors, 28 x Kebabs, 24 x Kebabs, 16 Pieces Smoked Chicken, 1.5kg x Leg of Lamb, 12 x Braai Broodjies, 1 x Potjie. 8 x Lamb Chops, 8 x Chicken Pieces, 1kg x Rump, 1kg x Wors, 8 x Kebabs, 2kg x Pork, 8 x Braai Broodjies, 1 x Potjies, 1 x Vegetable Bake. 18 x Chops, 24 x Chicken Pieces, 1.5kg x Rump, 3kg x Wors, 1 x Bread, 1 x Veggie Bake. Liz Houston of the Table View Lions Club, tested out our Fold & Go for a night to see what it's all about and if it could possibly be of use at some of their charity events. Johan Hugo, a member of the Malmesbury Veteraan Trekker Klub took our Fold & Go with on their "9 day trek" with the tractors to the Calvinia Vleisfees! They camped AND braai'd all the way there and back at Tankwa Karoo, Nieuwoudtville, VanRhynsdorp, Clanwilliam to name a few. Our Fold & Go was lucky enough to join the Lotter Family on a caravan road trip to Nieuwoudtville! Unfortunately the weather played up a bit, but not enough to prevent the Lotter's from lighting up a fire at least one night to braai some lekker tjops & wors - "Die Hard ek sê"! Braai Guru and TV Personality Dewald Visser of Kom Braai and his team took our Fold & Go on a gourmet braai weekend at Vermaaklikheid in Riversdal. Please visit Our or the Kom Braai Facebook page to view some stunning pictures of our Fold & Go in action. Thank you Kom Braai, we appreciate your interest in our products. 6 x Chops, 10 x Chicken Pieces, 1kg x Rump, 1kg x Wors, Seafood Wors, 6 x Braai Broodjies, 2 x Garlic Breads. The Laubscher Family from the beautiful Moorreesburg tried out and tested our little "Fold & Go" to the maximum and cooked up a s-e-r-i-o-u-s storm during their camping holiday in Struisbaai! They also came up with some handy suggestions which we've added to our possible alterations list to offer current & future KSC Clients - thanks guys, we appreciate your input! 65 x Chops, 70 x Chicken Pieces, 1.5kg x Rump, 6.5kg x Wors, 15 x Kebabs, 1 x Snoek, 1 x Yellowtail, 6 x Braai Broodjies, 16 x Roosterkoeke, 2 x Breads, 12 x Stokbrode, 4 x Potjies, 1 x Pumpkin Bake. The Fold & Go, aka demo braai, together with our KSC Braai Products was on show at the Camp Cover Stand at the kykNet Buite Ekspo! The Camp Cover Team, in their usual style, cooked and ate like kings during the Ekspo and contributed to some great stats to our Fold & Go! 500g Boerewors, 15 Beef Kebabs, 6 x Chops, 3kg Pork Fillet, 2kg Beef Steak, 1 x Lasagne (to serve 6 people) 27 Roosterkoeke, 6 x Braai Broodjies. The Fold & Go was on show for viewing as well as to cook some lovely breads to demonstrate some of its uses to the show go-ers. The Fold & Go was on show for viewing as well as to cook some lovely breads to demonstrate some of its uses to the festival go-ers. The Fold & Go accompanied us (aka the Team KSC) on our annual Richtersveld Rubicon with HeadOut Adventures! After the daily hard driving a cold one AND a good meal in the evenings was a serious priority! With the our "staatmaker" Fold & Go to depend on we cooked up a storm in the evenings, trying out some old and new favourites. 16 June - 17 July 2011 Ansley Family 4x4 Trek! The Ansley Family and their friends hit the road for a glorious 4 Week 4x4 Trek through Zimbabwe, Botswana and Namibia and our "Fold & Go" was able to join! Some of the stopping points included Matusadonna (by Kariba), Chizirira, Chobe and the Caprivi Strip to name a few. GOOD TIP: There is no charcoal for sale in Zimbabwe and Botswana. So, if you're taking your KSC Braai and plan to braai, cook and bake - REMEMBER to pack an extra bag or two of charcoal. 15 Chops, 1 x Bierbroodjie, 1 x Uiesop Broodjie, 3kg Fillet, 500g Rump, 2kg Boerewors, 1 x Chicken Pie, 1 x Snoek, Bream Fish Braai, 5 x Roosterkoeke 15 x Braaibroodjies, Butternut Steaks, 1 x Veggie Bake, Sweet Potatoes, 1 x Potatoes & Onion Bake, Apple Pie and a couple of pots of coffee water! "The Fold & Go" joined Mr Anslin April and his friends for a month on their weekly support missions of the Elsies River United RFC. With all the supporting, heartache and celebrations there was some hungry "manne" and Mr Anslin April was geared with our very competent Fold & Go to cater for the job! 19 Chicken Pieces, 2 Spatcock Chickens, ±16 Chops, 5.5kg Boerewors and 3 Texan Steaks. The Camp Cover Team took it on a lovely 10 Day Trip through the beautiful the Baviaanskloof. Their GOURMET menu over those couple of days has my mouth watering and we'll be sure to include some of the meals in our future Cooking Demos! Who would've thought that Chicken Pie too, could be part of your KSC camping menu. Thank you Camp Cover, you have definitely taught us something new. 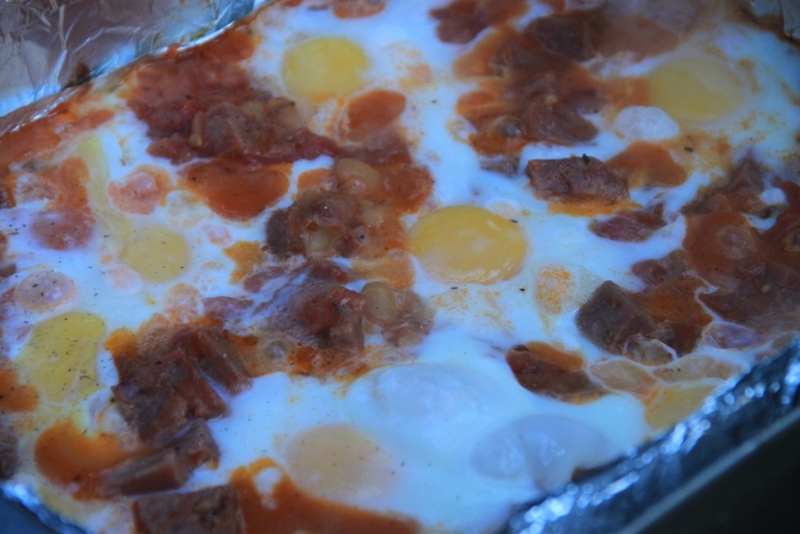 28 x Chicken Pieces, 30 x Tjops, 1kg Boerewors, 8 x Pork Sausages, 3 kg Rump, 1 x Bread Toasted, 6 Panini Braaibroodjies, 6 Roosterkoeke, 1 x Baked Chicken Pie (to serve 6), 1 x Baked Lasagna (to serve 6), 2 x Potjies, 1 x Cowboy Breakfast (to serve 6) and ± 10 kettles water per day for coffee/ tea/ cooking & dish water. The LEKKA Group of Lekker Kampplekke took our Fold & Go on it's "Maiden Trip" - a 7 Day Trip of Southern Namibia and the West Coast. They truly cooked up a storm and we think it might be a while before anyone beats their stats - "hierdie manne het nie gespeel nie"!